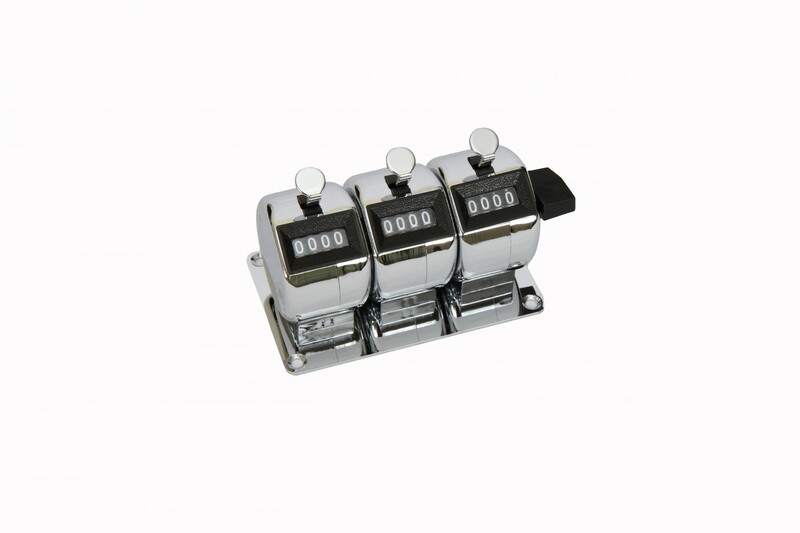 Sturdy metal hand tally counter for any repetitive counting activity such as mold spores or asbestos fibers, etc. Three individual counting stations in table top unit. Quick reset button.